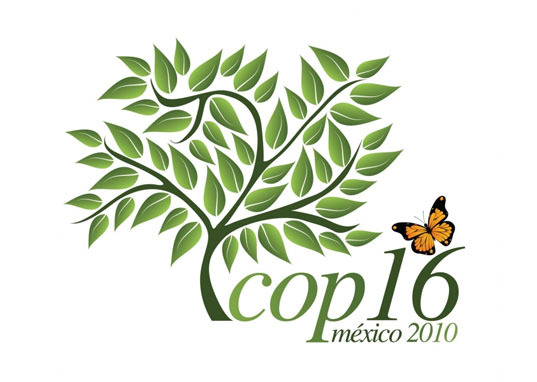 While it looks increasingly likely that the same dynamics which undid the 2009 Copenhagen climate summit are again present in Cancun, it is far too early to eulogize international approaches to climate change mitigation. One area that the developed and developing world share an interest in sorting out in more explicit terms is the debate over the global intellectual property (IP) rights framework as it applies to energy technologies. Given the urgent imperative to reduce carbon emissions, the diffusion of ideas, components, and processes across the globe is a modern day “Icarus” whose trajectory must be delicately plotted. Protect IP rights too stringently, and the promise of a widespread clean-tech revolution is stymied by the torpid pace of technology diffusion. Yet maintain too loose of a regime and we risk melting away the financial incentive to innovate in the heat of our haste. In avoiding both the sun and sea, the world community should expand the role of actors that stand apart from, or at least above, the contentious politics of bilateral trade disagreements. Just as Icarus had Daedalus to guide him, so the developed and developing countries of the world should look to multilateral institutions such as the IMF, World Bank, G20, WTO, and the existing Kyoto Protocol mechanisms to help leverage the $100 billion promised as part of a prospective international “Green Fund”. By enhancing the capacity of these entities to enforce existing IP regulations and expand the conduits of technology transfer, the world can begin to share clean technologies in the least politically contentious manner. For the proliferation of clean-tech and green-tech to be sustainable, it cannot primarily result from “giveaways.” Developed nations have been lobbied to share with developing ones by means of climate “reparations” or through the extrapolation of “compulsory licensing” language introduced in the 2001 Doha Declaration, which granted developing nations relatively unmitigated access to privately-owned copyrights on life-saving drugs for pandemics such as HIV/AIDS. However, the diversity of clean technology exceeds that found within the pharmaceutical sector and the requirements of infrastructure, advanced manufacturing processes, and human capital that must exist in the recipient country for proper domestic implementation to be successful are often far higher than in the case of drug patents. Furthermore, while “compulsory licensing” may make sense on a country-by-country basis, its broad application would continue to foster inequities. China, for example, recorded almost six times more private and public investment in clean tech than the United States in 2009, and will increasingly be expected to assert greater responsibility than many poorer nations - such as those in Sub-Saharan Africa, for example. As an alternative to more “conciliatory” arrangements between private innovators and developing nations, multilateral institutions should play a much greater role. The Kyoto Protocol’s “Clean Development Mechanism” (CDM) is promising on this front, as it creates a new incentive (the future income of ERU offset credits) for firms and investors to introduce technologies and methodologies in developing countries where these solutions would otherwise be financially unfeasible. Unfortunately, a collection of bureaucratic inefficiencies and opaque protocols has prevented this process from even beginning to realize its full potential. Firms are reluctant to share technology in areas with weak IP-enforcement regimes, there is little capacity to match potential projects with the requisite technology, the completion of the project and subsequent allocation of valuable offset credits is far from guaranteed, and financing for the technology-acquisition that enables such projects is limited. An already-active carbon market interlocutor such as the World Bank could expand its role to encourage such investment. A nascent marketplace or clearinghouse for green technology would help link up project proposals with the requisite technology needed to consummate them. By working with local authorities in the host country of such a clean development project, the Bank could help the innovator expedite the “due diligence” process of soliciting a guarantee that the technology in question will have ample “room to operate” in the host country without infringing on domestically-protected IP rights. The Bank could provide transparency, transaction-enforcement, and partial financing to facilitate the agreement. To allay uncertainty within the still-young carbon markets, the World Bank might also act as a reinsurance entity, catalyzing private-sector actors to step in with expanded insurance products through which innovators and investors can hedge the risk inherent in deploying capital towards a technology-intensive project in a less developed nation. Should IP rights not be respected in accordance with a contract, the host government would be expected to intervene appropriately or risk the cut-off or term-tightening of future World Bank project financing within its borders. Of course, the tenuous outlook for robust carbon markets and the offset mechanisms that accompany them demands examining the sale of technology on a broader basis than individual projects. For example, a company could decide to sell its technology rights to a peer company, local project developer, or municipal government. This would ensure that the technology is employed in multiple projects, offering economy-of-scale benefits. It would also encourage responsible care-taking of the technology by the purchasing entity in order to protect the competitive advantage in its own home market for which it has paid a premium. To buttress the expansion of such transactions, financing facilities such as the IMF’s Clean Technology Fund (CTF) or the World Bank’s various Climate Investment Funds (CIFs) should grow in size and sharpen in mandate. For example, the CTF has been criticized for spending a large percentage of its funds financing new coal-based power plants that offer only small emission reductions over existing facilities. This money could be better allocated toward the adoption of technologically-intensive, cleaner processes in developing countries. The CTF should begin to include a “carbon accounting framework” in its investment decisions, and should expand its powers to include the “buyout” of vital patents, including those which an innovator has thus far refused to sell on the open market. In this way, bottlenecks in the technological diffusion process due to monopolistic behavior will be reduced, and innovators will still receive compensation for their intellectual property. To further satisfy the private sector in developed countries, loan adjustment mechanisms could link up to WTO trade dispute adjudication, so that the terms of a World Bank or IMF loan used to finance technology acquisition could be tightened if the foreign entity illegally disperses the technology, resulting in low-price penetration of the original home market. The measures outlined here do not represent a silver bullet, nor do they guarantee that international institutions can overcome the recalcitrance of inflexible government. What is clear, however, is that to address a “global commons” challenge such as clean energy generation, we must embolden those entities that promote cross-border cooperation and mutual gains. Only by letting a “Daedalus” guide our efforts at balancing IP rights and technology access can we keep Icarus in his fragile but crucial flight.